In your house there pet. Even if it's a small fluffy kitten, he should have his own place in the apartment, where to relax, to sleep without disturbing anyone. House for kitten should consist of three parts. For its production will require patience and some skill. Bed.The most important thing is a sleeper, it takes the most space. It would be better if you place it on the floor. A small kitten will be difficult to climb high. Cats really love small enclosed spaces, boxes, drawers, dress wardrobe. You can make the kitten an indoor house with a roof. In a dark and warm space it will be cozy and comfortable. The house can be made of fleece or velvet, knitted or dumped wool. Avoid synthetic, injecting the materials, choose the one that gives warmth. It is best to sew in house soft pad with a removable cover that can be washed once a month. Scratching post.The house must be scratching post, to which the kid should be taught from infancy, with the first urge to sharpen claws. 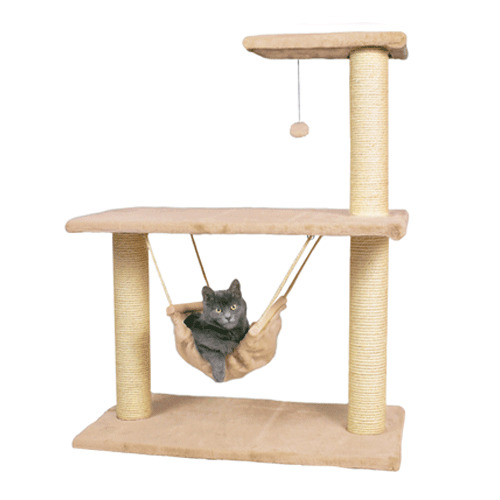 Better if the scratching post will be "attached" to the house-place. For example, as a pipe. It needs to be high and is covered with a rough cloth, which is nice "to fight" - linen, burlap. Can be done at the end of the scratching pad. Cats love to climb up and examine the scene below. There they feel safe. 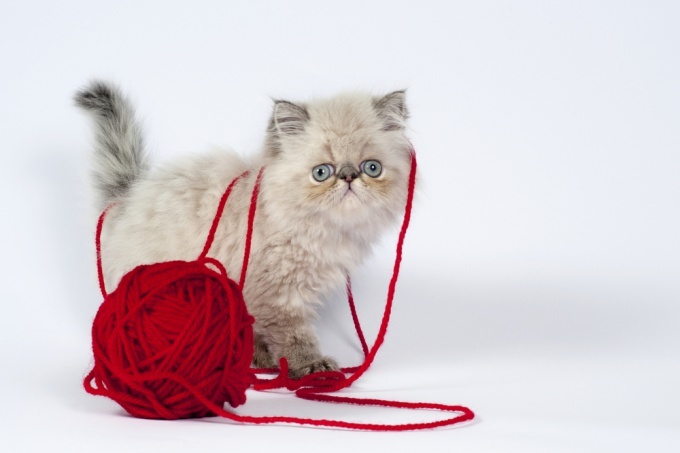 A scratching post should be strong, if it will quickly deteriorate, the kitten might not immediately get used to the smell of the other, so start practicing on your furniture. Toys.Kittens love to play. That is how they learn about the world and develop their natural instincts, train the muscles that are nimble and sure. Tailed kids love all that ringing, rustling and flapping. 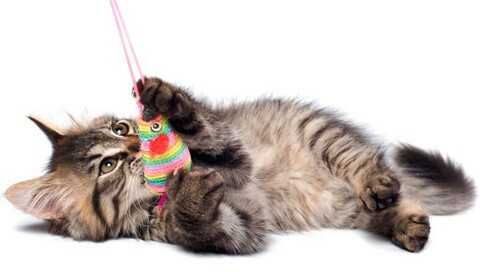 Toys can be placed on scratching posts, further attracting the interest of the kitten to her, as well as on the court, which ends in a scratching post. 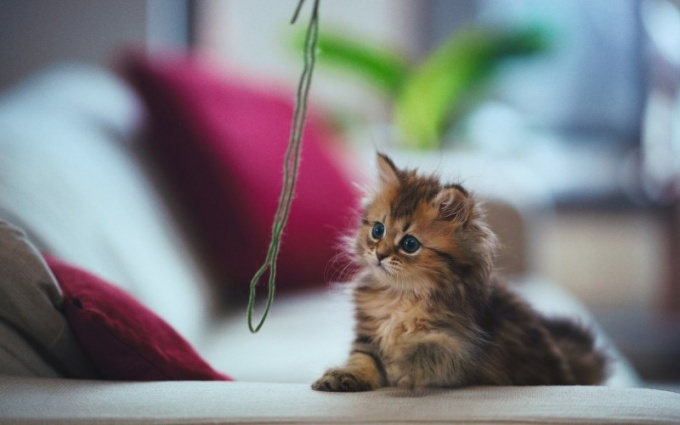 Be sure to place there the most simple and most favorite kittens toy – bow on a string, it may not reach the floor, hanging freely in the air, engaging and involving in the game. Don't forget the feathers and balls, and toy mice that you can buy at any pet store.